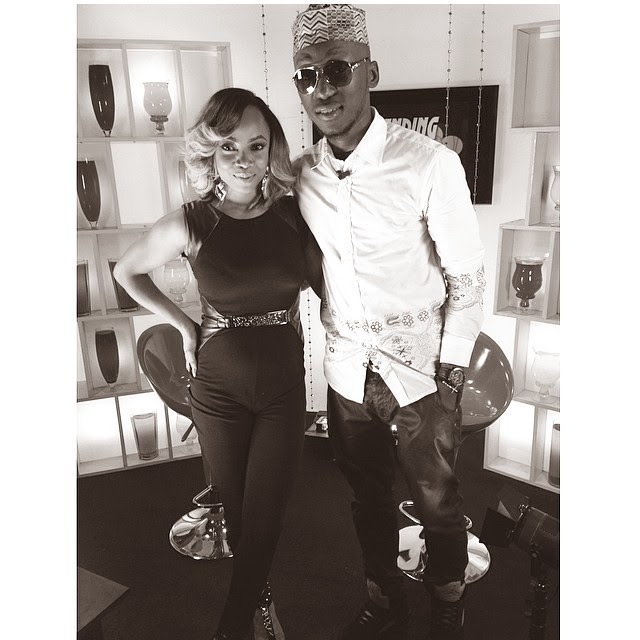 Toke Makinwa-Ayida was spotted with a 'baby-bump' on the set of her new show "Trending"with guest DJ Spinall yesterday. This photo got everyone talking last nite,and there were reports all around that she was actually expecting a baby. Ok Mrs Ayida. We believe you.